So for those of you who suffered through years of orthodontics, wires, elastics and that metallic taste you DO NOT want your teeth to get crowded again. So we, myself included, put up with this wire glued to our front teeth and the hassle of flossing under it. I knew I was not the greatest flosser when it came to those front teeth. I did try with floss threader and super floss but it was not done daily. The idea is to hold our teeth in the perfect position but at what cost? I felt my teeth were straight but I was neglecting the gums and bone. So when my wire broke it was the best opportunity after 10 years to remove the rest of the wire and make a removable retainer that I would wear daily to hold the teeth in position and be able to floss with greater ease. I was in the clear. When patients ask me if they can remove the wire I tell them that they can. They will have an easier time flossing BUT the MUST wear a removable retainer that will prevent the teeth form shifting back and crowding. The retainers are now made with clear material that can be worn day or night and are very comfortable. I know your gums will appreciate it and so will your hygienist when they need to clean all the tartar and stain that never gets removed. More orthodontist go with a removable retainer option if they feel that you are responsible enough to remember to wear it. 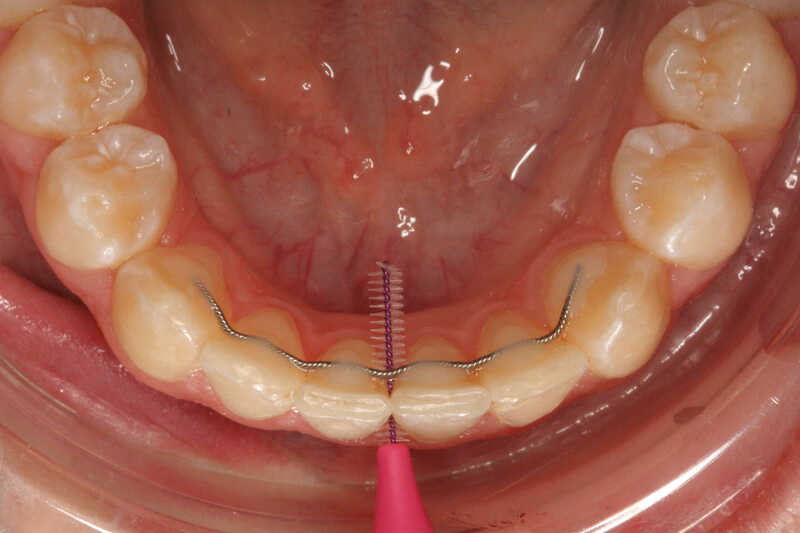 For those patients less responsible the fixed retainer will be the better option. However, it can be replaced later on to a removable one once we feel hygiene is a problem or removable option can be worn reliably. So if you have a retainer that you struggle to keep clean, or is broken just ask us how we can make your flossing routine easier and more regular. KEEP FLOSSING NO MATTER HOW EASY OR HARD IT IS. Previous Previous post: Dental Implants. Next Next post: CAVITY? HOW IS THAT POSSIBLE?